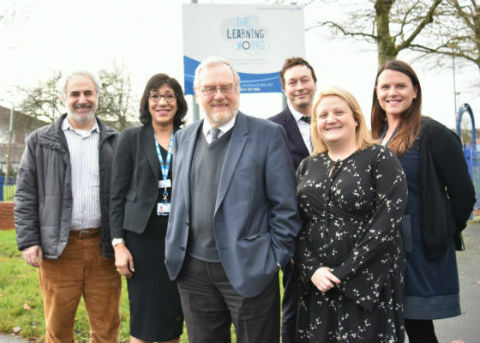 Hearing about an innovative project to attract qualified medical personnel into local NHS organisations, John Spellar MP for Warley was keen to find out more, so paid a visit to The Learning Works in Smethwick. Brainchild of Sandwell and West Birmingham NHS Trust’s Lawrence Kelly, the scheme taps into a wealth of clinical expertise in the refugee community, which had previously been ignored or inaccessible due primarily to language barriers. But the Health Overseas Professionals (HOP) programme provides training in the English language for medically qualified refugees to find a way to resume their medical careers, whilst putting much needed resource back into the local NHS. HOP follows the successes of the USE-IT! project, which is testing a similar skills matching programme in Sandwell and West Birmingham. The Learning Works has collaborated with local organisations to identify and support skilled overseas medical practitioners and the programme has proved the potential for implementing a tailored system of support. Lawrence explained: “By working with our local communities we’ve found 180 people who fit the scheme criteria. This far exceeds our initial target of 60 when we set up the programme. Examples include GPs, nurses, pharmacists and even highly trained medical and surgical consultants.